The Scarlett Bustier knows no boundaries! Let that wanderin’ heart take you wherever and pair with whatever you please! Gorgeous sweetheart neckline that shows just the right amount of cleavage. 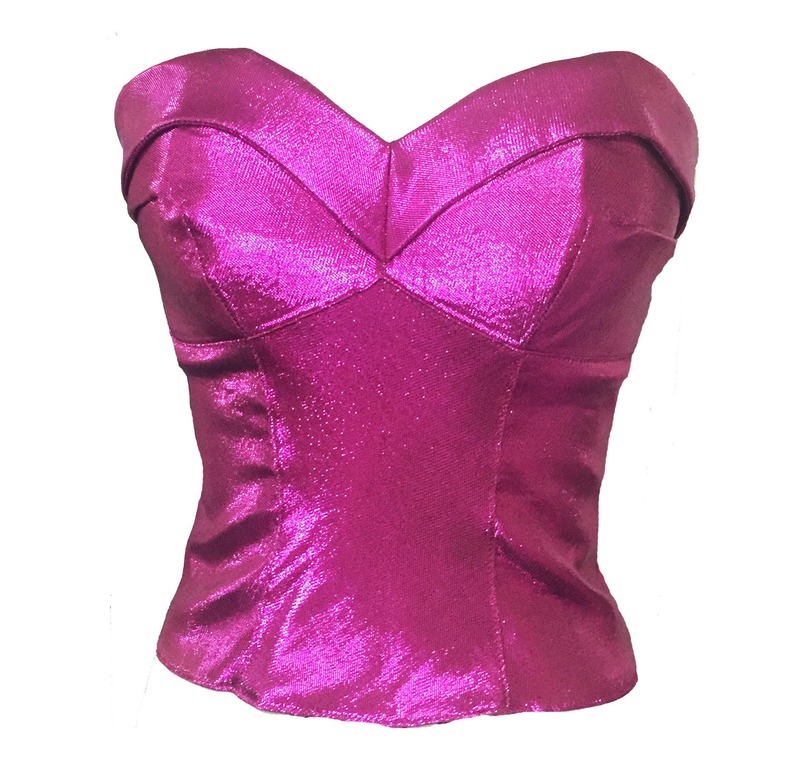 Dazzling metallic lame bodice with darts and seams for the perfect fit throughout and finished with a fold over collar that wraps around the bust. Separating zipper at the back. Fully lined in stretch cotton sateen and enhanced with boning at each seam and light padding at the bust. Pair this untamed beauty with the our Petunia Skirts or your favorite vintage circle skirt for a look perfect from dawn till dusk! Works like a charm for small and large busted ladies alike! !